Included is a summary of rules and expectations for students at Tauranga Boys’ College. There are times when students may be unclear about what the rule is regarding one of the topics below and our booklet is designed to make the rules and expectations clear. If students are clear about the rules then they know what is expected and they cannot offer excuses. It is a requirement of all students that they familiarise themselves with these rules and ask their class teacher, form teacher or dean if they are unsure. These rules and boundaries are in place to create a safe and orderly environment for all students and staff at Tauranga Boys College. There are no ‘free periods’ for students at all in the timetable; attendance is compulsory for all periods, including form time and assemblies. If a student is going to be away for a period of time parents should contact, by telephone or written note - the Attendance Officer or the appropriate Dean, Assistant / Deputy Principal to clear the absence prior to the student being away. If a student is away due to illness, ideally parents should ring in on the day or send a signed note (which must have student’s full name, form class and dates of absence) on the first day the student returns to college. Notes should be handed into the Form Teacher (designated to check off the particular student’s attendance) or given to the Attendance Officer. Any unaccounted attendance issues will be directed to the Form Teacher, Dean or Attendance Officer smartly for follow up and truancy consequences. If a student is late without a genuine excuse they will likely incur a school detention. If there is genuine reason for them being late and a signed note is received from a parent/caregiver or teacher on the morning then the lateness will be excused. Students should obtain a late note from a teacher if they are late leaving a class, or from the Attendance Officer/Dean/Assistant or Deputy Principal if they are late to school. Students late to school in the morning go straight to the Deans / Attendance Officer to obtain a “Late Note “ before they can go to class. Lateness to class between periods and after lunch is entered onto KAMAR by classroom teachers. Hair – This must not be lower than the bottom of the collar at the back, clear of the eyes and not extending below the ears. Students with long hair must have it tied back to achieve this standard. Dreadlocks or other bizarre styles (mohawk, skinhead, mullets, lines shaved in etc.) are not permitted. “Rats tails” are not encouraged either and are only permitted under certain conditions. Hair colour must be the natural colour only (no dye) and hair should be clean and tidy. Bleaching or part bleaching (two tone) is not permitted. Students must be clean-shaven at all times and sideburns should not extend below ear lobes. All uniform items should be clearly named. A navy blue polo with crest, light grey shorts (not drill or fashion shorts), socks are mid-grey with two navy blue bands with plain black lace-up or slip-on heeled school shoes, able to be nuggeted. Or plain black or brown sandals (without socks) that must have a front strap, secured by a buckle or velcro, and a heel strap. No logos! Note: No flat soled canvas or skate shoes are permitted. Senior Uniform (5th year students with Principal’s permission) white polo with crest navy blue long trousers or navy blue shorts, plain white walk socks with black lace-up, or slip-on, heeled shoes able to be nuggeted (not sport or skate shoes) or regulation sandals may be worn. A plain white tee shirt only may be worn underneath all polo shirts. Labeled or coloured polyprops or tee shirts are not permitted. School jackets or jerseys are appropriate on colder days. The school cap is encouraged in the summer in accordance with the school’s ‘Sunsmart Policy’. Variations on these are not acceptable. No alternative jackets, polar fleeces, hoodies, sweatshirts or beanies are permitted. Confiscated items go to the AP Mr Akkerman – named for collection after detention. Uniform must be worn correctly on the way to and from school and during the school day. Shoes must be clean and shirts tucked in if worn underneath jackets/jerseys. Heel straps on sandals must be worn up at all times. No earrings, piercings or studs of any form are permitted at school. This includes tongue studs and any plastic replacements for piercings. Sticking plasters covering piercings is also unacceptable along with fishing nylon. No jewellery apart from watches can be worn. Bone carvings or pendants with genuine cultural significance must be worn underneath the school shirt tethered by a long thin leather cord or chain so they cannot be seen. Students with incorrect footwear must report to the Dean’s area prior to the start of school with a signed note. They will be given a shoe pass if there is a medical reason for having to wear alternative footwear or they will be given a pair of loan roman sandals for the day to use to replace their non-regulation footwear. This includes mobile phones, laptops, i-pads, tablets, i-pods and any other electronic devices. These items are not to be used in class unless teacher permission is given. Students are not encouraged to use personal devices during break times, however if they choose to, they must be used appropriately at all times and with respect for others. The school takes no responsibility for damaged or lost devices that are used during break times. Using the device to photograph, film or voice record anyone else (with or without their consent). Using the device to harass, bully or threaten anyone else in any way. Using the device to personally access, store or show anyone else any socially inappropriate, offensive or illegal material. Appropriate Disciplinary action will be taken by the College for any of the above violations. This may include a Stand down or Suspension by the Principal. Students must have permission prior to bringing a motor vehicle to school. They must complete the appropriate registration form & hand it into Mr Watson after the form has been signed by a parent. Their licence class will be recorded. No vehicles are to be used at all during the school day (except Senior Uniform Wearers) without permission of a Deputy/Assistant Principal (including lunchtimes). Breaches of the guidelines for bringing vehicles to school will incur punishments and permission to bring the vehicle to school may be revoked. Safety is a major issue with vehicles, both for drivers and the large number of pedestrians about the school. Passengers must also be cleared by Mr Watson. ?Lunch passes can be obtained from Mr Watson. These are not encouraged and are only available for students to go directly to their home address for lunch. All students travelling on the free (rural) school bus service must have a student I.D Card. sharing of bus passes is prohibited. If a student loses their bus pass they will need to see the Attendance Officer and pay $10 to order a new ID card ASAP. Students waiting for buses must wait inside the school grounds. Any student leaving the school grounds (to go to Countdown/Dominoes or the like) will be deemed to have left school for the day and will be unable to travel on the bus. Students must remain on the bus all the way to school. They do not get off at other stops such as ‘Girls’ College or Tauranga Intermediate. Once they have arrived at school by bus, students must stay inside the school grounds. Helmets must be worn. Bicycles are not to be ridden at all in the school grounds. Students must lock their own bikes and take responsibility for doing this every day. ?For the first 12 minutes of lunchtime, Students must remain in the lunch areas, (also after the 12-minute bell if they have not finished eating). Lunch eating areas include the Amphitheatre, the Green, the Hexagon and the Canteen. Southey Field and the Hostel Block are strictly out of bounds unless fully supervised by a staff member. Students should not lean on fence lines, especially along Cameron and Devonport Roads. Classrooms and indoor corridors and foyers are off-limits during all breaks unless supervised by staff. All carparks and the area behind the GYYT are also strictly out of bounds. Litter infringements include, dropping litter, sitting/standing amongst or near litter and walking past litter. It is a shared responsibility. Detentions or “litter duty” can be incurred for any of the infringements mentioned above. Students are not to eat while indoors, on the turf or the tennis courts. Buckets are in the Deans area for offenders to do ‘litter duty’ with duty staff. If sent to the withdrawal room students must report to the Dean/Assistant Principal on duty. Staff - Please send a note or referral form with the student. Departmental detentions will be held in classrooms during lunchtime. Dean’s Detentions are held in the careers room at lunchtimes. After-school or Saturday detentions are held in the Withdrawal Room and supervised by Mr Watson, students and parents will be notified of these prior to the day. 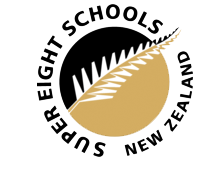 No student shall consume, sell, purchase, supply, have in his possession or be under the influence of illegal drugs, R 18 Iegal drugs, party pills or alcohol, whether or not lawful under the law of New Zealand. No student is permitted to have in their possession any drug or alcohol paraphernalia. No student shall smoke tobacco, supply tobacco to other students or have tobacco in his possession. No student shall assault, fight with, bully or intimidate another student or staff member. Policy - It is the Principal’s Policy to treat very seriously a breach of any of the above rules. The Principal would review all the circumstances and consider stand down or suspension as disciplinary options. (a) Present at school during an official school day. 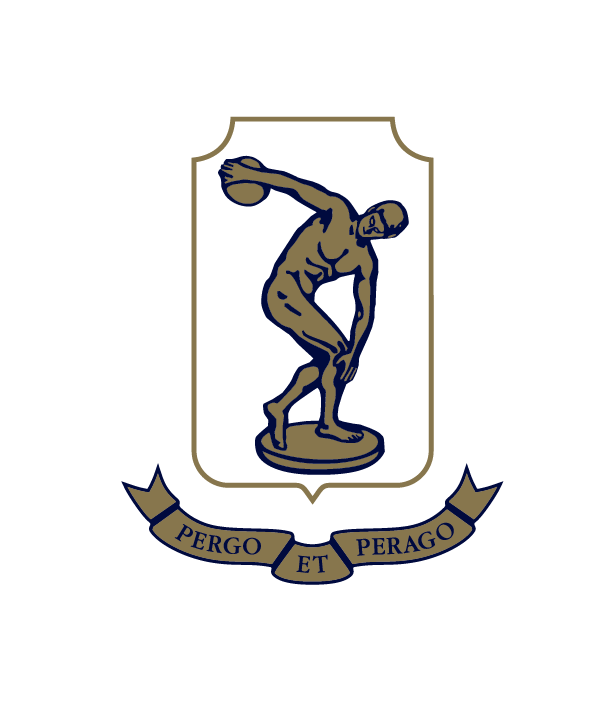 (b) Representing the school at any time whether it be in sport, cultural or academic pursuits. (c) On a school trip or camp, whether or not a parent or guardian is also present. (d) On the way to and from school. (e) At anytime they are wearing school uniform.